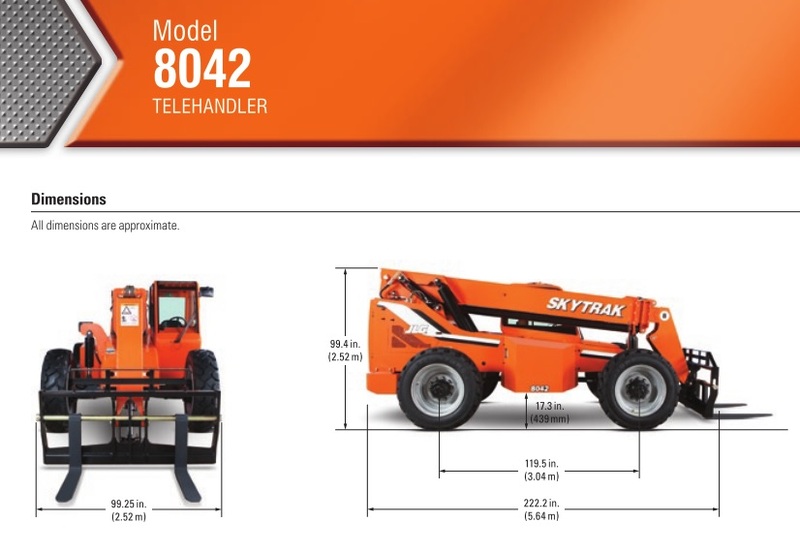 SkyTrak 8042 - Aero Lift Inc. 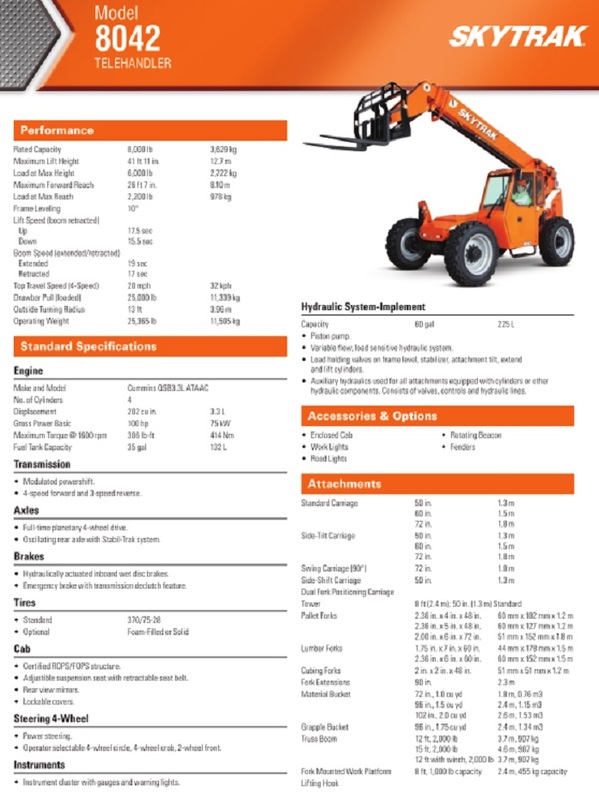 The SkyTrak model 8042 all-wheel steer telehandler has more of what you need to meet your demanding job requirements. Features include; an impressive 8,000-pound capacity for heavy loads, the Stabil-Trak stability system for improved operator confidence, and optional attachments to handle a wide range of duties on the job. Do you need used SkyTrak parts for your 8042 ? Let us quote you a price. Please contact us. New SkyTrak parts for your 8042 may also be available. Please contact us.